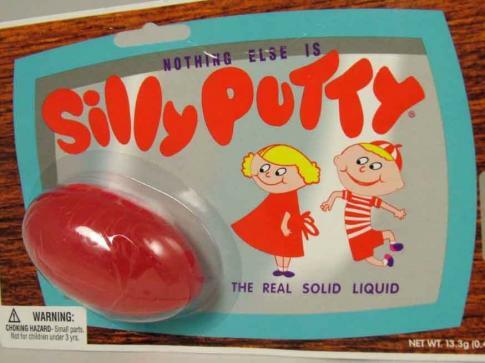 Silly Putty – a popular toy during the 50’s and 60’s. It was housed in a bright red plastic egg case, and could bounce, stretch, and take on various shapes. It was meant to occupy a child’s mind for hours. Like Silly Putty, a production budget can occupy a line producer’s mind for hours. It too is meant to be stretched, pulled, and change shape. Why? Because it doesn’t matter how prepared you are, or how much information you are given when you initially write a budget, life changes, creative changes, production changes, and you need to think of your budget as something that can be molded into whatever is necessary to get the creative produced within the bottom line. The hell you say?! I have to make my budget do the contortionist jig and still hold the bottom line? Yes, that would be correct. When you submit your budget for approval, there will be certain things you won’t know. You won’t know the exact price of an airline ticket. You may not know the exact price of a location – because it is yet to be decided if the scene will take place at a pool house or in a submarine. In these instances you guesstimate based on research or on previous experience. However, here’s where you as the Line Producer need to be malleable because when you’re in production – anything can happen. For example, the fictitious location you put into your budget a few weeks back? Well it has finally been chosen and you’re shocked to learn that many other production companies have used the same location and now they’re asking top dollar. In this scenario you can forget about getting another location because this truly is the only historic village that has everything you will ever need for your episode. You believe it will be more cost effective (read cheaper) because this location is closer than any other, sparing you the expense of housing a crew overnight. The proximity means less production vehicles, the talent can self-report, equipment can be rented locally, etc., etc. But just because you believe it will be more cost effective because you’ve made an educated guess based on past experiences doesn’t make it true. You’ll need to do an analysis of where you think you’ll save money, or possibly have some pad. I strongly suggest you create a cost tracker and do the math. Perhaps you can take money from the production vehicle lines (including gas, parking and tolls) and move it into the location line. Be creative, move the money around – in this case lines are meant to be crossed. Either way as the Line Producer, in addition to your many other responsibilities money management is key. I suggest you at least take a daily mental tally of where you are and then weekly go through your purchase orders and cost tracker so you know exactly where you are financially at the beginning of each week. Remember, like Silly Putty budgets are meant to be changed. The bottom line is not. Keep careful track of your expenses. Keep your Purchase Orders up to date. Keep a cost tracker.